While EUR is strong, USD is being empowered due to the new president’s economic policy. There has been a gap at the time of the market opening hour. 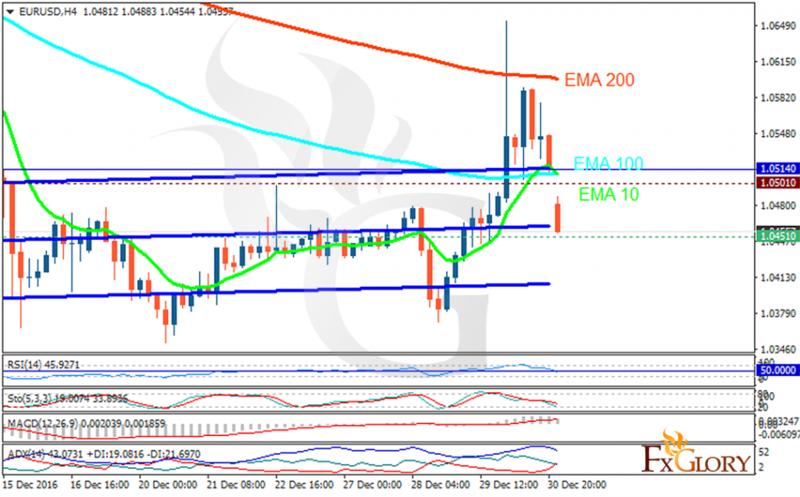 The support rests at 1.04510 with resistance at 1.05010 which both lines are below the weekly pivot point at 1.05140. The EMA of 10 is falling towards the EMA of 100 and they are both below the EMA of 200. The RSI is falling on the 50 level, the Stochastic is showing downward momentum and the MACD indicator is in positive territory. The ADX is not showing any signals. There is no clear signal at the moment so traders can wait for a better chart setup.